The Annapolis Boat Shows, an events management company that produces four in-water boat shows and coordinates many boating educational programs, announces its 2018 spring sail and power boat show schedule. “Our shows include grand prize giveaways, seminars, on-board classes, boat demo rides, and an optional VIP Experience all designed to introduce people to the boating lifestyle. These new and expanded programs have proved so successful that the company is dedicated to continue expanding these offerings in 2018,” said Jacobs. Spring boat shows are just around the corner. Either sail or power, there is no better place to plan a family summer vacation on the water. Always guaranteed to be a fun outing with friends exploring sailboats of all styles and sizes in downtown Annapolis or climbing aboard hundreds of powerboats on Kent Island. For seasoned boaters or soon-to-be boaters, these are the boat shows not to miss. The Annapolis Spring Sailboat Show will run April 20th-22nd. The show features Cruisers University and First Sail Workshops. There are sailing lessons, live music, entertainment, tasting venues, and a demo dock to see all the new water activities and toys. The Bay Bridge Boat Show, featuring more than 400 powerboats up to 75 feet in length, is an exciting annual springtime in-water boat show held in Stevensville, MD at the Bay Bridge Marina. 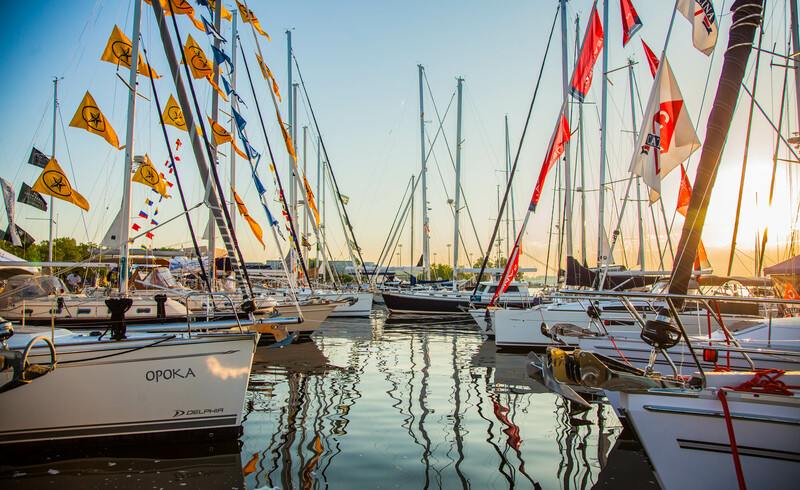 As one of the largest spring boat shows north of Florida, this show traditionally marks the beginning of the boating season on Chesapeake Bay and is eagerly anticipated by fisherman and family boaters throughout the Mid-Atlantic region. The Bay Bridge Boat Show is open April 27th-29th. Cruisers University, April 19th-22nd, offers the most comprehensive curriculum on cruising and is suitable for both sailing and power cruising. Learn all you need for living aboard a boat. Plan your cruise, equip and maintain your boat, and feel at ease heading out for near and distant shores. Cruiser’s select from more than 50 courses in one-to-four-day customized programs best suited to your cruising plans.